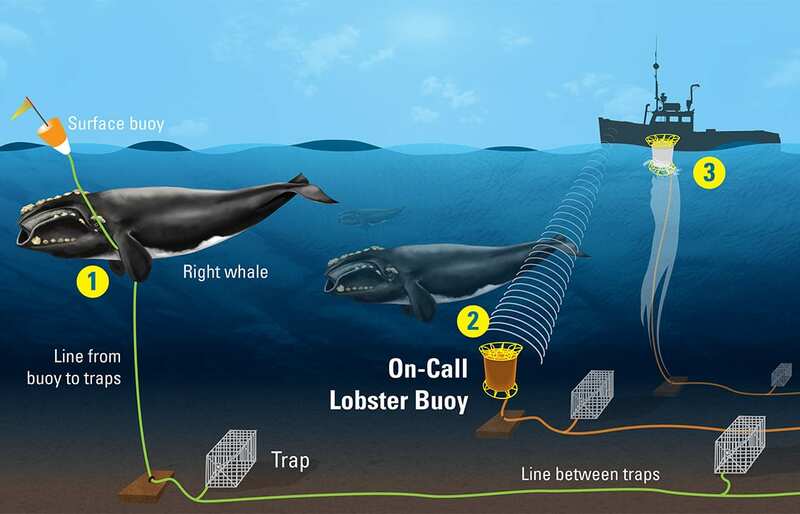 Interactive featured in: "Whale-safe Fishing Gear"
WHOI engineers are developing a new kind of lobster trap buoy that could help keep whales from getting tangled in fishing gear. Click on the numbers above to learn more. On a mobile device? Click here for mobile version.